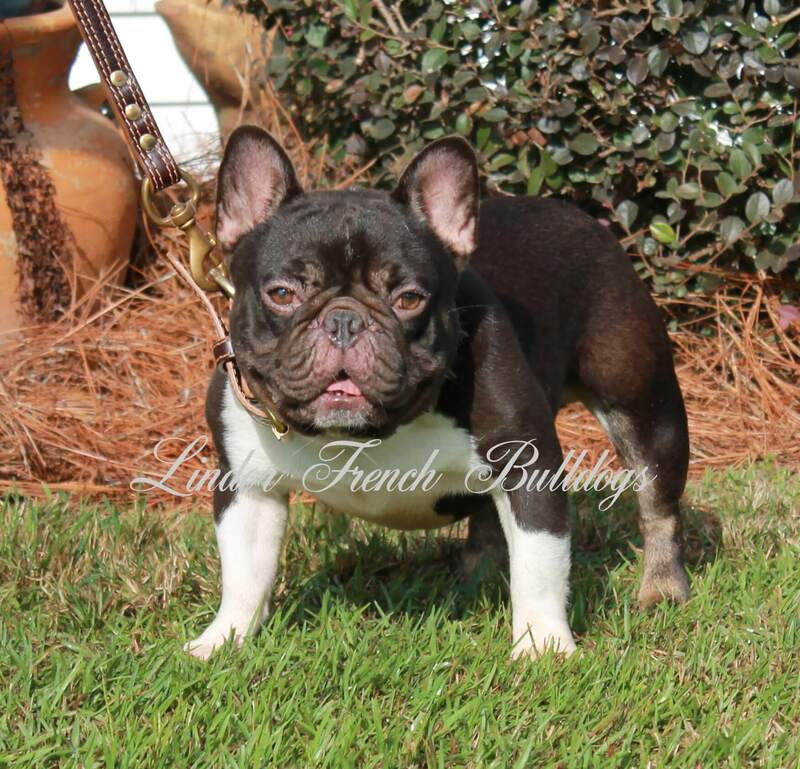 Lindor French Bulldogs is a licensed facility and a registered breeder with the American Kennel Club (AKC). 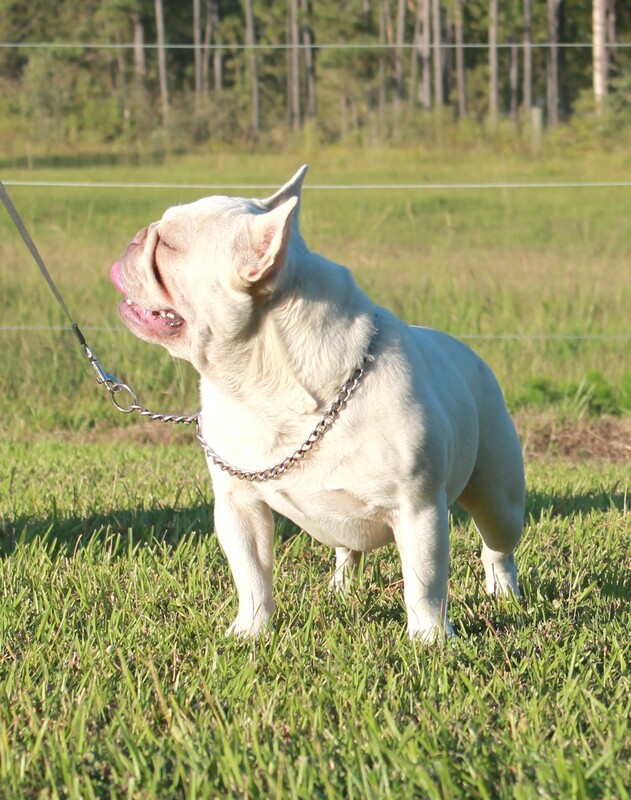 We work hard to find the highest caliber adult breeding males to, along with our breeding females, provide our clients and their families with exquisite French Bulldogs. 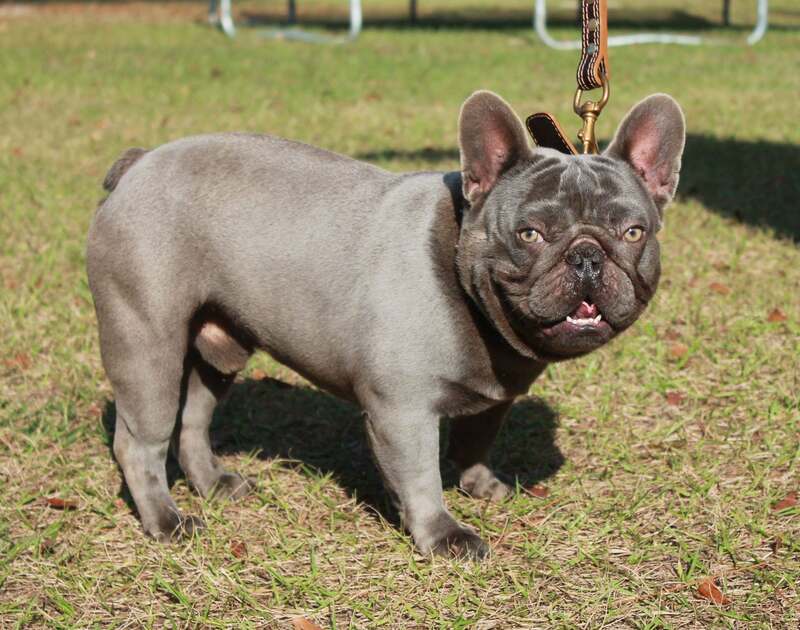 We carefully select our male dogs based on their ancestry, health, coloring, and other factors. By assessing the DNA of both the male and female parent and painstakingly planning each litter of puppies, we can bring customers dogs bred to their specifications of build, structure, and color. Our adult males are chosen to deliver the results you and your family desire. 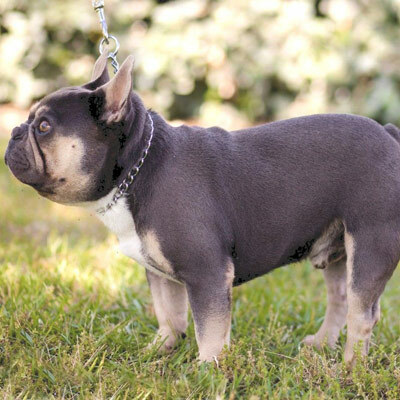 As an example of the quality of our work, we owned the first lilac platinum Frenchie in the world, Koda, and are capable of breeding puppies with a variety of coats, including lilac and solid blue. 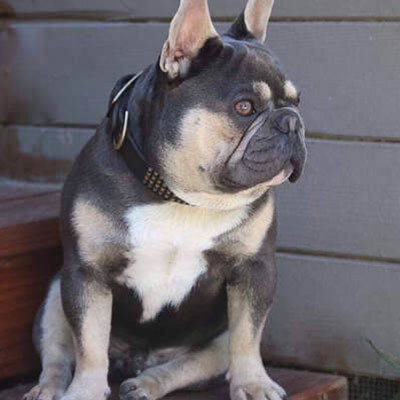 As a reputable breeder of French Bulldogs, we offer every pup in our program comfortable living conditions and thoroughly check them for genetic defects. 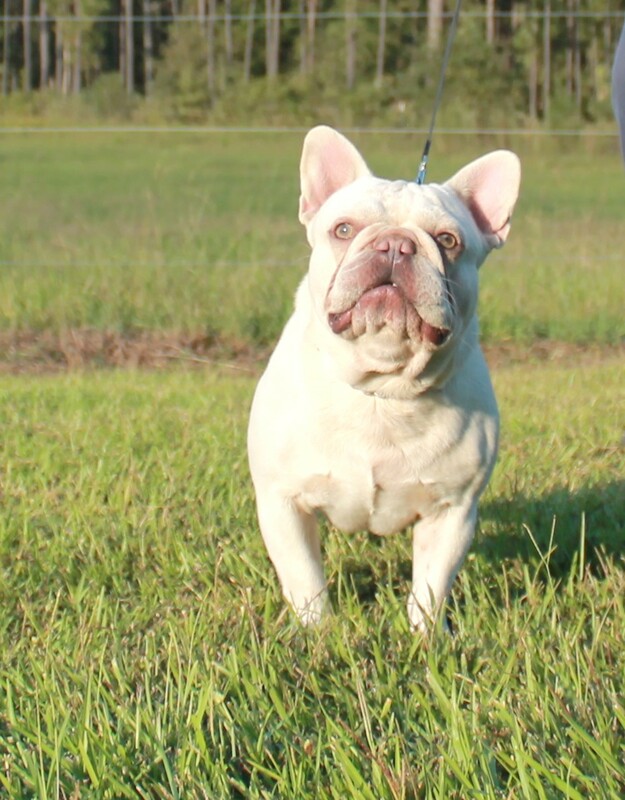 Our well-maintained indoor facility meets the standards of the AKC and Georgia and is climate-controlled for the comfort of our Frenchies. Once the adults have completed our breeding program, we ensure that they find loving owners to enjoy the next stage of their lives. 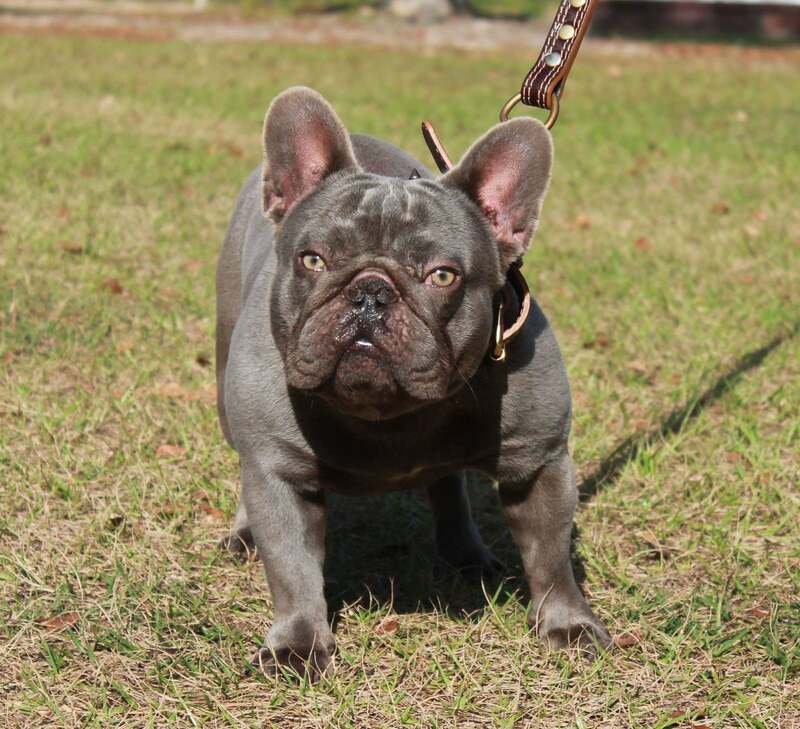 Call us at 904-574-7644 to learn more about our available puppies and adults. 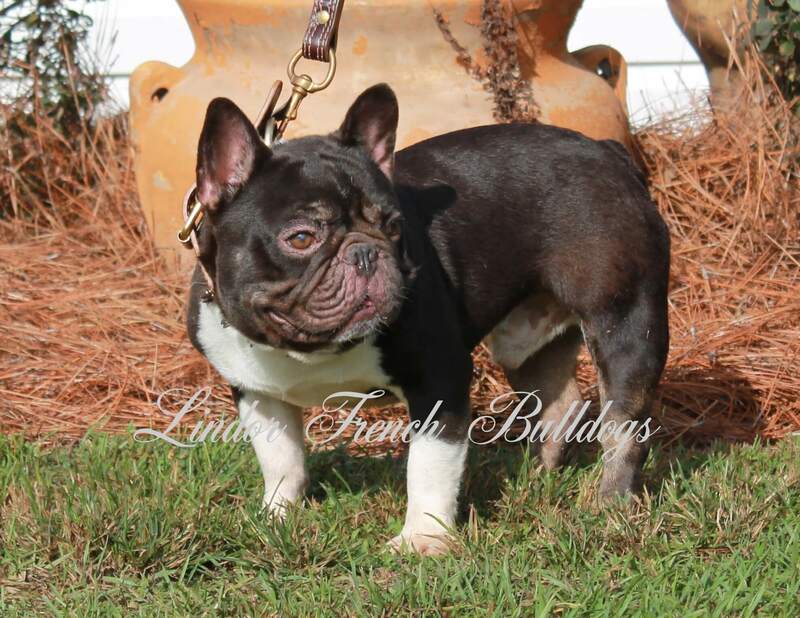 Butler: Chocolate and tan Irish pied, carries blue, no brindle. KODA First lilac platinum in the world. He is a legend in himself. We have sold Koda to a breeder in another country --but have several of his daughters who are our producers now. SCRAPPY Scrappy is a special DNA combination to classify him as a solid. he is a lilac "aa" solid. he is just 14 months old in this picture and is breathtaking!